The Guardian/Daily Mail UK, 29 July 2017. After a much publicized cross-country tour of the USA, there is speculation mounting that Mark Zuckerberg could make a presidential run. Now, a shock new poll has found that the Facebook founder would be in a dead heat with Donald Trump. 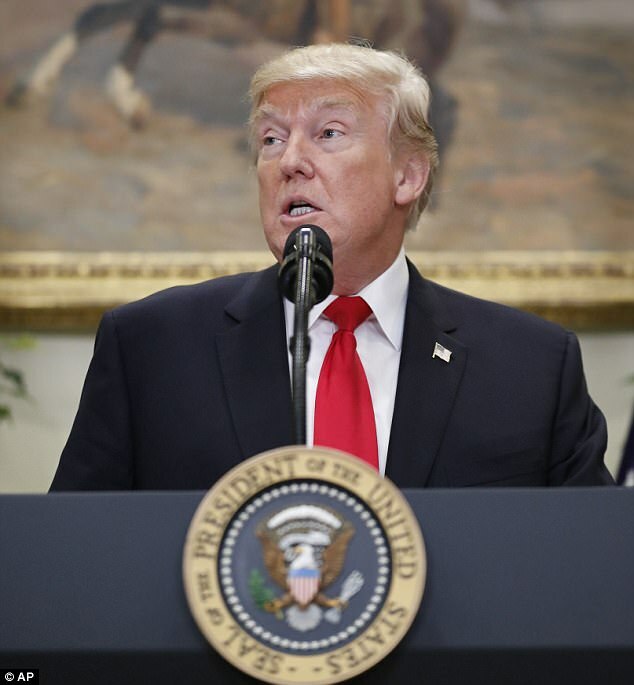 The data, released by North Carolina polling group Public Policy Polling, shows 40 per cent of voters siding with Zuckerberg as a Democrat and 40 per cent backing Republican Donald Trump. One in five voters said they were unsure who to vote for in the hypothetical match-up. 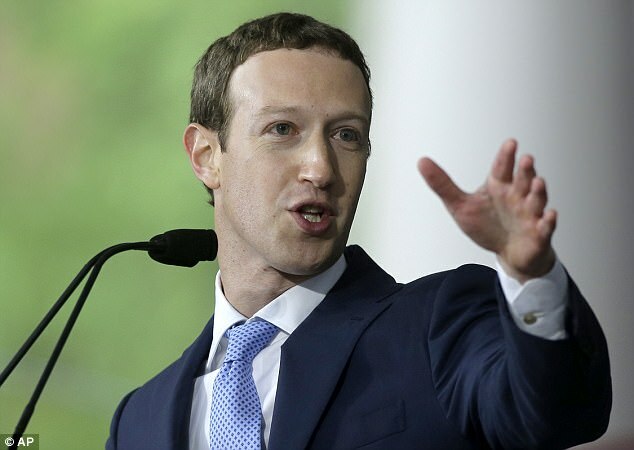 The Facebook CEO, who is worth $68.4 billion dollars, attracted a lot of attention when he embarked on his 50-state tour of the US earlier this year. 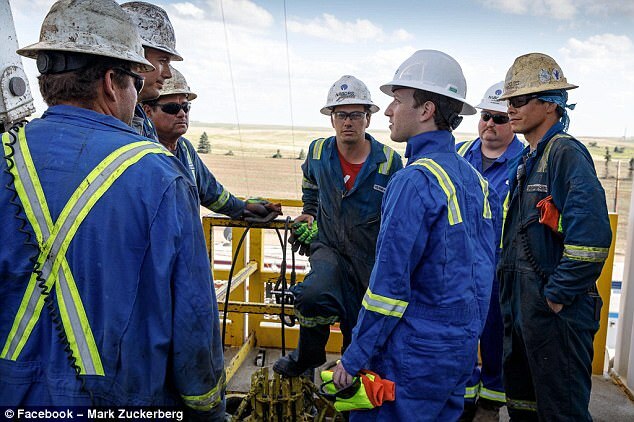 His visits to fracking sites in North Dakota, drug addiction clinics in Ohio and cattle ranches in North Dakota fueled speculation that he was preparing for a career in politics. However Zuckerberg has insisted that the trip was solely to broaden his perspective. 'Some of you have asked if this challenge means I'm running for public office. I'm not. According to Silicon Valley insiders, the phrase 'He wants to be emperor' has become a common way of describing the tech giant over the last few years. 'Zuck [sic] has the kind of personality that, no matter what he decided to do, he's going to do it better than anyone else on the planet'. Zuckerberg has earned attention for his cross-country tour of the United States But he is not the first Silicon Valley giant to flex his political muscles - or at least flirt with the idea. Peter Thiel, the billionaire founder of PayPal, has been an ardent supporter of Donald Trump since his campaign and helped finance him. Roger Mercer, a reclusive tech genius and hedge-fund manager, has contributed millions to Conservative causes and politicians. His earnest and social media-friendly posts have fueled speculation that he might run for president. Zuckerberg, however, still has some work to do. When asked in survey whether they have a favorable on unfavorable opinion of him, only 24 per cent of respondants said favorable. Meanwhile 29 per cent said they had an unfavorable opinion, and 47 per cent wern't sure what to think of him. Victor, 29, and Nicole, 26, pose with their children: Victor, four; Sherlin, nine; and Jasmine, eight, in the car garage where they have lived for the past three years, in Menlo Park, California. Photograph: Andrew Burton for the Guardian. 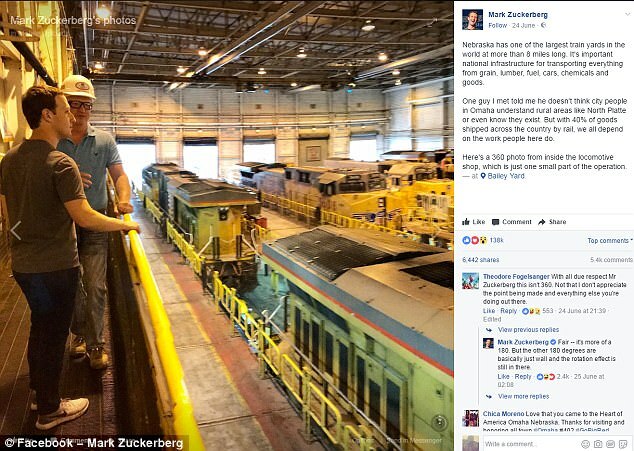 Mark Zuckerberg’s travels throughout the United States to fulfill his 2017 “personal challenge” to “learn about people’s hopes and challenges” have seen him drive a tractor, meet recovering heroin addicts, don a hard hat and speak out against the staggering wealth inequality that his $68.5bn fortune so clearly represents. “Here” is just a few miles from Zuckerberg’s five-house compound in Palo Alto and mere blocks from Facebook’s sprawling Menlo Park headquarters. Here, on a quiet street of modest bungalows, Nicole and her husband Victor, who also works at a Facebook cafeteria, live in a two-car garage with their children, aged nine, eight and four. The family of five have lived in this cramped space next to Victor’s parents’ house for three years. Three beds crowd the back wall, while a couch and coffee table mark the front of the room as a living area. On Friday, the couple were among about 500 Facebook cafeteria workers who elected to join a union, Unite Here Local 19. They are the latest group of tech industry service workers to seek unionization in the hopes of achieving a better standard of living. Working at a Facebook cafeteria is an enviable job in many ways. Nicole earns $19.85 an hour as a shift lead, while Victor makes $17.85 – well above the $15 an hour minimum for contractors that Facebook established in 2015. They earn too much to qualify for state healthcare, but not enough to afford the health insurance offered by their employer. They frequently struggle to find enough money for basics like food and clothes for their children. Victor recently borrowed money from his mother to hold a birthday party for one of his daughters, and from a friend to pay for a dentist appointment. At times, the challenges make the couple nostalgic for the days before Facebook moved to Menlo Park. When Victor was growing up, his father was able to buy a small house there from his earnings as a landscaper. Earlier in their relationship, Nicole and Victor both earned about $12 an hour as managers at Chipotle and were able to afford their own apartment. “I felt more secure at my other job. You didn’t have people looking down at you,” Nicole said. Now she works at cafeterias with names like “Epic” and “Living the Dream”, and the distance between the two classes of Facebook worker can feel immense. The smaller indignities are numerous. At the end of every shift, Nicole watches large amounts of leftover food go into the compost – food she’s not allowed to take home. Cafeteria workers cannot access healthcare from Facebook’s medical clinics. Facebook recently held a “Bring your kids to work” day, but cafeteria workers’ children were not allowed. A spokeswoman for Facebook said none of the company’s contingent or contract workers have access to facilities such as clinics, gyms, or bring-your-child-to-work days, but that other policies were a matter between the contractor and the workers. A spokesman for Flagship said it “looks forward to a positive and productive relationship with the union”. The company declined to comment on its policies for workers at the Facebook campus. “People think, oh, you’re working for Facebook, you’re doing great,” Victor said. ***This article was amended on 24 July 2017. An earlier version said cafeteria workers only entered Facebook’s medical clinics if they were selected for a mandatory drug test. This has been corrected with information that was provided after publication, to say cafeteria workers cannot access healthcare from Facebook’s medical clinic.